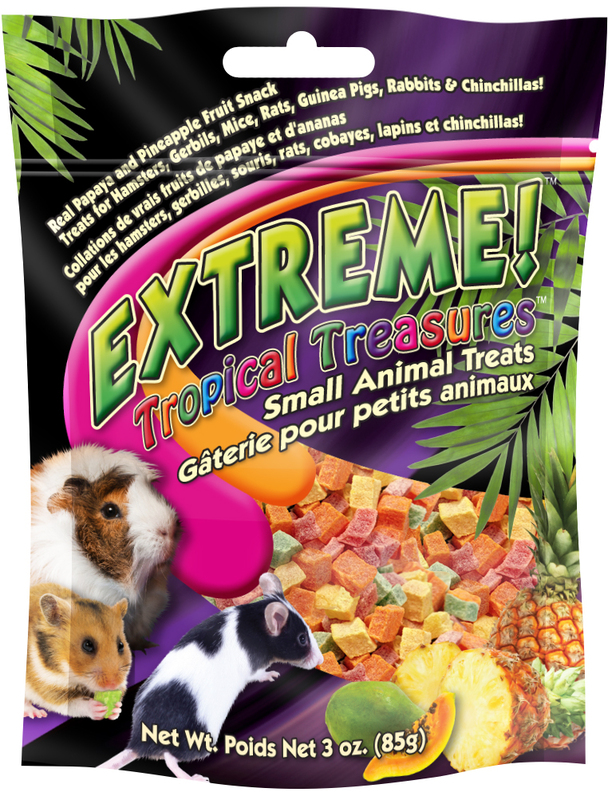 Real pineapple and papaya fruit snack for small animals. Tropical Treasures™ are real pineapple and papaya that have been diced into “just-the-right-size” bites. 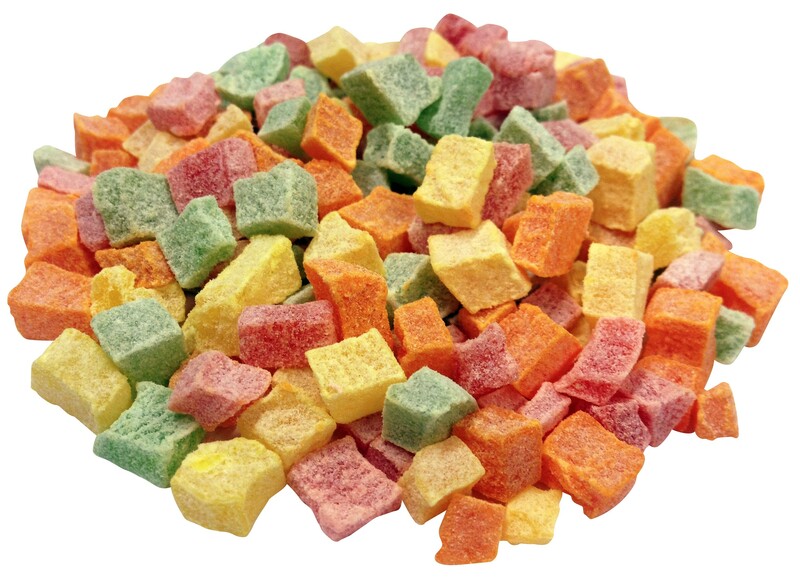 They’re soft, chewy, cubed snack treats bursting with fruit flavors. 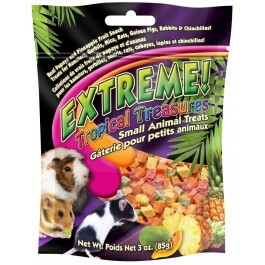 Small animals such as hamsters, guinea pigs, rabbits & chinchillas will find them simply irresistible. You can feed Tropical Treasures™ as snacks, training rewards, or mix them into your pet’s daily diet for a very special meal. Dried Papaya, Dried Pineapple, Sugar, Red #40, Yellow #5, Orange #6 and Green #5.